Ready for adventure. 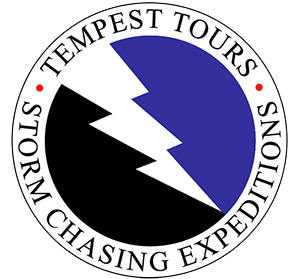 Tempest Tours is the real deal, and arguably the most successful storm chasing team in America. The Tempest team of veteran storm chasers have nearly 200 years of combined experience chasing storms. It's in their blood. We were chasing tornadoes before Twister was scribbled on a napkin by Michael Crichton. I’m interested in being on an on call list for short notice one day chases. Went on one the 21st of October in Oklahoma and loved it! I live in Knob Noster, MO and work at Whiteman AFB. Don’t mind driving out to catch some exciting storms and meeting fun people who also share the passion.